Huge monographic exhibition one of the “vanguard of the Amazons” assembled from Russian and foreign collections. The exhibition includes more than 400 works. 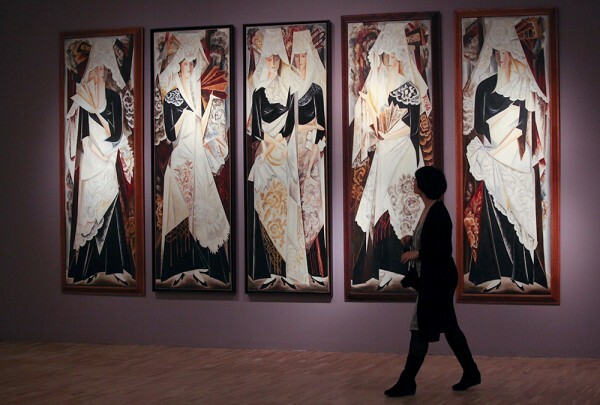 Natalia Goncharova is a distant relative of Alexander Pushkin’s wife. She pioneered the emergence of Russian avant-garde, in 1915 went in Paris with her husband Mikhail Larionov, who also was an artist, founder of Rayonism, where she continued with her art: not only easel forms, but also in fashion, theater and graphics. In recent years Goncharova’s name has repeatedly appeared in the press. She is one of the most expensive women artists that in few years have led to the emergence of mass fakes in the global art market. The exhibition runs from 16 October 2013 to 16 February 2014. Price range from 100 to 360 rubles.